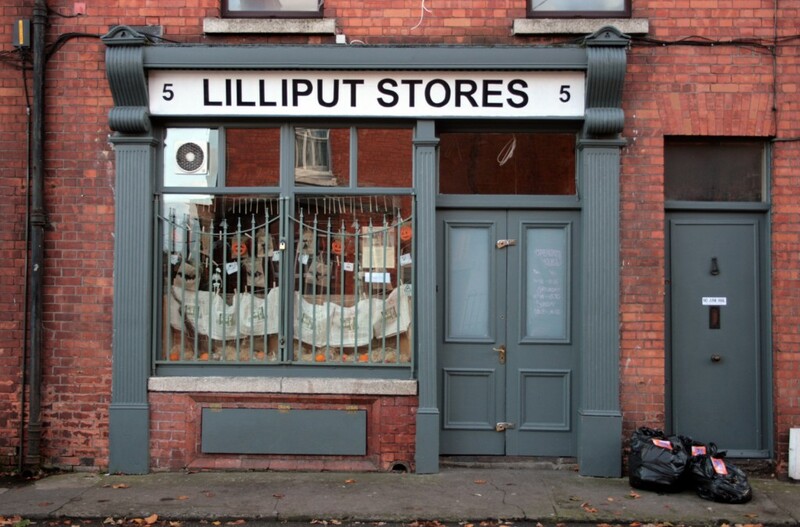 Two of Dublin 7’s most vital businesses are based in adjacent shopfronts on Rosemount Terrace, Arbour Hill: Lilliput Stores, a grocery shop and deli that doubles as a community hub, and The Joinery, a gallery and performance space with a track record of really strong programming. 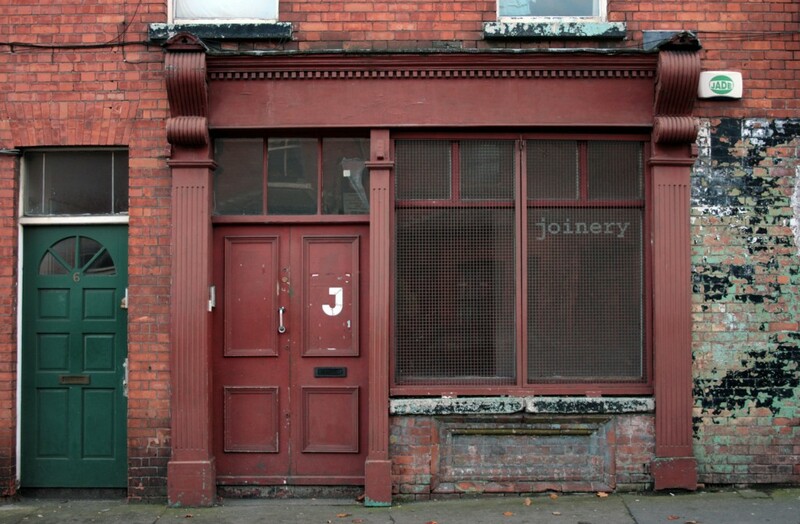 The two shopfronts are in the same style as one of their neighbours, with a timber signboard, deep scroll brackets over fluted pilasters, and a brick pattern framing a rectangle beneath the shop window. 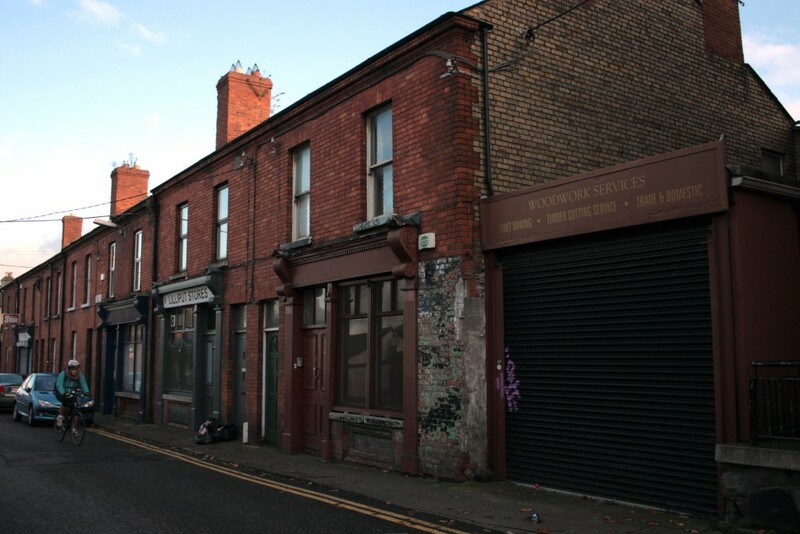 Each is the ground floor of a two-storey house, with the shopfront timber clearly demarcating it from the residential entrance to the upper storeys. On the Lilliput shopfront, the bench beneath the window caught my eye. It uses the brick rectangle, but replaces it with a fold-up timber panel (in the same soft grey as the other timber) which can be kept flush and out of the way outside business hours. 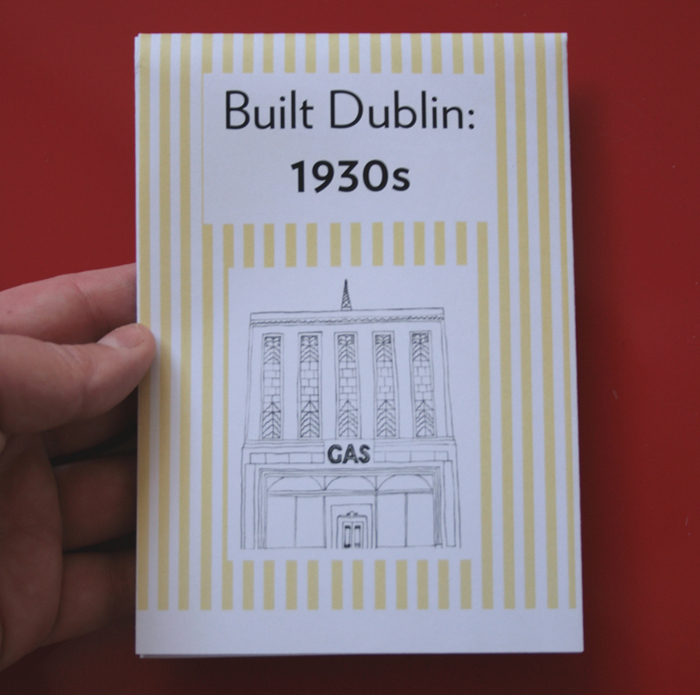 The houses are on Dublin City Council’s list of protected structures, but with the added difficulty of that aside, it’s interesting to see a contemporary feature fitting seamlessly within the older facade pattern. Not only that, but it emphasises the sociable, community nature of the shop by facilitating a chat with a cup of coffee or a sandwich. The city could always do with more places to sit, but this one does even more than that.